All RIVERTON FARMS homes currently listed for sale in Riverton as of 04/26/2019 are shown below. You can change the search criteria at any time by pressing the 'Change Search' button below. 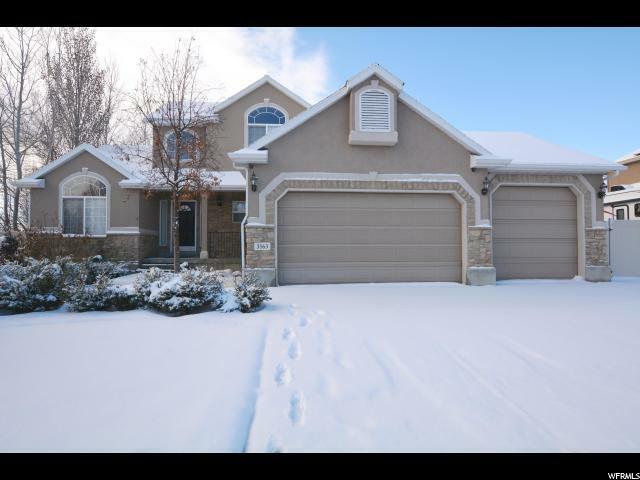 "Move right in to this beautiful two story home in Riverton Farms! Master bedroom and laundry room on main level, two bedrooms and loft area upstairs. Another bedroom and family room in basement. Just add flooring of your choice to basement for completed basement! The basement is plumbed for a future kitchen and also plumbed for laundry for a complete mother in law apartment living, including a walk out. Two furnaces that are both 95% efficiency, high efficiency 2 stage AC, and Bosch tank-less water heater. RV parking, fenced and landscaped yard, and much more. A must see!"